Most likely the great majority of you has already become familiar with the first review of Online Project Management Tools, so there is no need to explain what an online project management tool is. In case you haven’t, please spend some time to read the post mentioned above, because both reviews will significantly help you to choose the best tool. 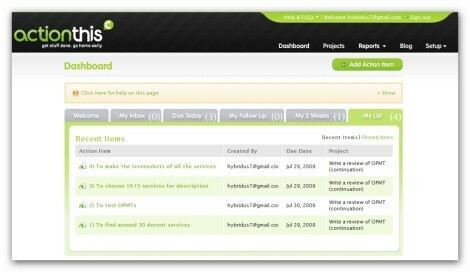 In fact at the very beginning we didn’t plan to prepare a couple of reviews dedicated to online project management tools; however after deciding to use such a service to quicken and simplify the working process, we felt the necessity to carry out a thorough research in order to find an even bigger amount of decent online project management tools, ensuring thus the opportunity for everyone to get the tool he/she needs. 3) Emphasizing the way customer support service works. We sent a letter to each customer support service, so you would be able to see how fast we received responses if we did at all. 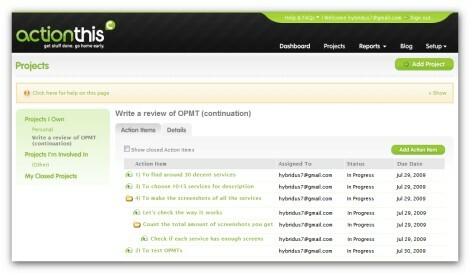 4) At the very end of this review we are going to mention “Lampdocs’ choice” online project management tool. 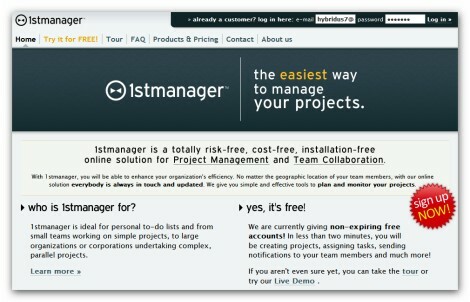 1st Manager represents a decent project management and team collaboration online solution that has an intuitive user interface and is very easy-to-use. 1st Manager can hardly be considered as a multifunctional Online Project Management Tool, because it includes only the basic tools to plan and monitor your projects. Overall given solution produces quite a positive impression having some nice features you may need. But before we go ahead with the features, advantages and disadvantages of this tool, let’s check the screenshots that were made from our account. 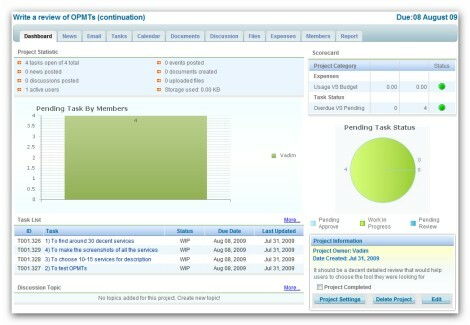 As you understand this is one of the most important pages because it provides all the information about the project, and allows you to do many things: to check all the tasks (current and overdue ones), to check the latest activity, to export the data in .xls, .csv or .txt formats, to generate PDF documentation and etc. 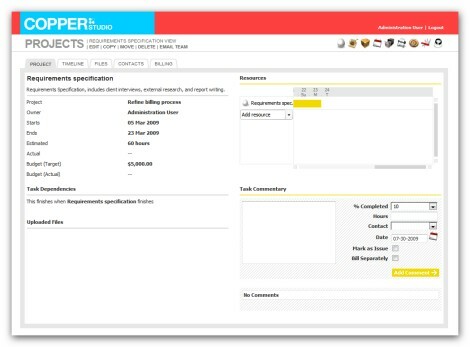 Here can do almost everything you need as far as the tasks are concerned: to check the status of a task, to see if there are some comments on a certain task, to check task priority, to learn more about a task (to check task description) and etc. 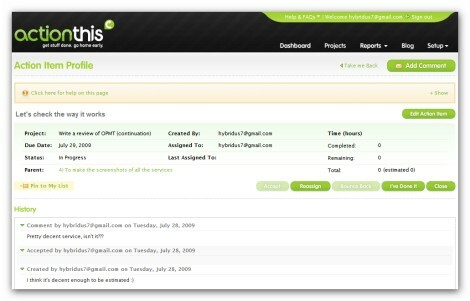 Here you can get or edit all the information about a task, edit alarms, change status, assign users and etc. 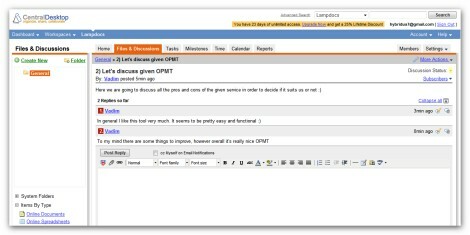 Moreover as you can see there is an opportunity to comment on tasks. Exporting all the data in an appropriate format (Excel, PDF, CSV, Text, iCal and etc.) and may others. 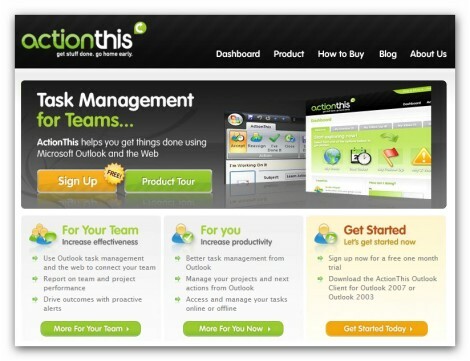 ActionThis is an extremely easy task management tool that helps you increase productivity and eliminate wasted efforts. 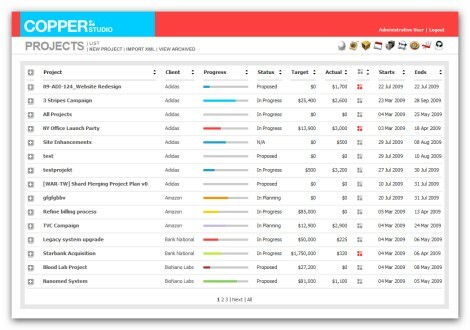 As the developers emphasize “unlike other project management and collaboration applications, ActionThis focuses on execution – helping you and your team track and manage tasks through to completion”. Thus, though the opponents of using Online Project Management Tools argue that people just spend (waste) extra time with such kind of services, this point of view can hardly be considered as a relevant one as far as ActionThis is concerned. At the same time there are some really important things that are missed, however we will talk about them a little bit later. For now let’s check the screenshots, so you can see the way this tool looks and works. As you can see the Dashboard consists of 6 different panels, so you can check everything you need. Despite the fact that it looks nice, given page can hardly be considered as a really informative one. This page provides all the information about the task. Moreover there is an opportunity to leave comments if you want to. 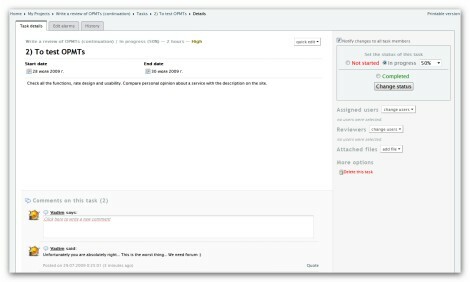 Although you can’t see it on the screenshot, at the very bottom of this page the full list of subtasks (if there are any) is displayed. The nice feature of this page consists in the fact that you can see the way tasks are organized (tasks with subtasks and etc.). Unfortunately there is no way to check it anywhere else, even Dashboard does not provide this information. Thus given feature mainly is the most important reason why you will need to check this page quite frequently. Opportunity to export ActionThis projects to Excel for further analysis and etc. We didn’t get any response. AJAXWorkspace is another online project management solution which consists of an integrated suite of simple and easy-to-use collaboration functionalities. It can be easily used both by a company (a team) and by a freelancer from home. Given service produces quite a decent impression having almost everything you may need as far as functionality is concerned; however, as you understand, nice functionality doesn’t mean nice tool because there are other important points that has to be taken into consideration as well. We will talk about them in a while. The great feature of this page consists in the fact that it provides all the information regarding particular project: task list, discussions, project settings, project expenses, project statistic and etс. Unfortunately there is no latest activity section, so you can’t check at once what happened since your last login. In fact this page provides comprehensive data about a task (task description, comments, task status, task priority, project, milestone and etc. ), so you can hardly want something to be added here. Though it looks pretty decent, to my mind it’s too simple because you don’t even have an opportunity to edit or delete a post. So if you would like to delete something, you need to delete whole topic. A lot of packages to choose from: individual, corporate, enterprise (managed and self-managed) and etc. Believe or not we didn’t receive the response from customer support service at all. 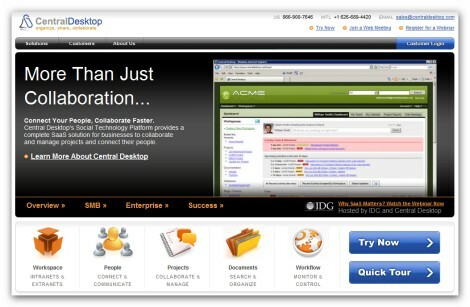 CentralDesktop represents a very successful solution for businesses to collaborate, manage projects and connect their people. It has very decent, but not excessive, functionality; of course some of the users may want something to be added, but for the great majority it will be more than enough. I recommend you to take a closer look at this tool because it seems to be one of the best solutions described in this review. For now let’s check the screenshots, so you can see the way it looks. Though at the first sight this page may seem to be pretty simple and not as substantial as it could be, it has the most important data concerning the project: recent activity, overdue tasks and milestones, opportunity to manage the member involved in the project and etc. This page is organized really well – it includes absolutely everything you need regarding the tasks: priority, detailed view, opportunity to add comments, opportunity to move tasks, filtering tasks, tasks Calendar view and etc. Despite the fact that it looks simple, it has all the functionality you need (rich text formatting, opportunity to edit and delete comments, collapsing and expanding comments and etc.). The only thing I would add is the opportunity to use avatars and add smiles. The response from the customer support service was received less than in 24 hours – great result. 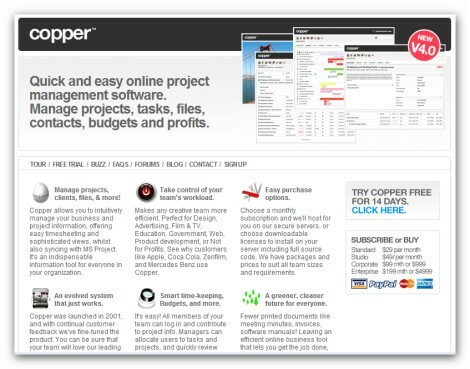 Copper is a decent online project management solution that has a powerful and nice-looking interface designed to reduce time spent finding information, so your team can get back to doing more work and less admin. It should be mentioned that Copper is really easy-to-use tool, so you can start working immediately without the necessity to learn how it works. It has pretty decent functionality which differs significantly depending on the package you choose (there are four of them). It looks simple enough, but informative at the same time. Nice thing about this module is the opportunity to expand and collapse a project in order to check the tasks included in it. When you expand a project all the tasks are displayed with the most important data (priority, progress, starting and ending date, and etc.). As you can see this page consists of several segments – each of them includes important data about the task (general task info, recourses, comments, unloaded files). Such a structure significantly simplifies the working process and saves time. The main reason why in this certain case we got just two screenshots is that almost all the modules have very similar structure, so there is no need to discuss them in detail. It will be much better for you to try a demo account and check this tool in action. Four different packages: standard, studio, corporate and enterprise. 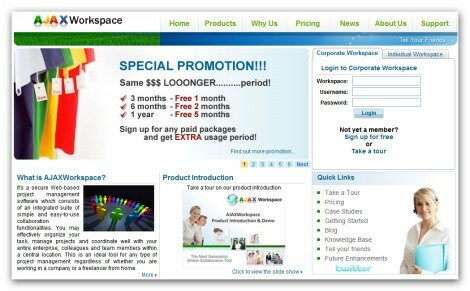 A really informative article, your readers may also find my software http://www.task-mate.com useful. If you get chance feel free to review us, it would be great to see what you think our pro’s and con’s are. Just tried to test the features but was unable to do that: none of my browsers allowed me to add a new task. Do you have any problems? From our logs it seems that it’s because your browser is configured to Russian and our localisation system is struggling to read your dates. We will be deploying an update tonight that will fix the issue permanently, in the meantime if you set primary language in your web browser to english-us (en-us) then it should all function correctly. Just to let you know that I’ve deployed an update that now resolves all the problems you where coming accross earlier. Andy, though you want to “keep things as simple as possible”, your tool seems to be too simple :( IMHO, you need to add some functionality – at least discussions panel, subtasks and commenting on tasks. 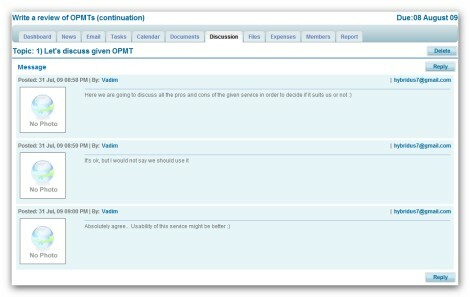 You can comment on tasks, select a task and the comments are on the right handside. Sub tasks and discussions are both very good ideas(I’ll look into this for a future release). If you add some really important features, Task|mate may become pretty competitive tool. How do i taste it . 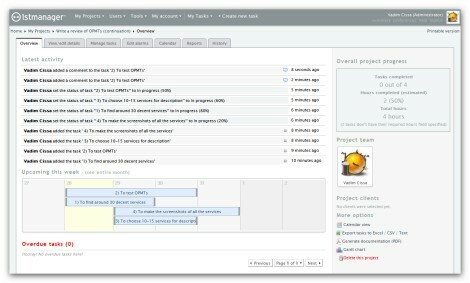 I am surprised to see a list of online task management tools without Agilezen.